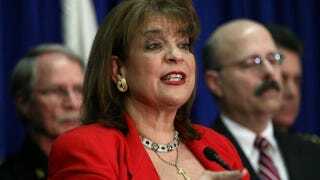 She Botched the George Zimmerman Trial, but Will Angela Corey Get Re-Elected in Fla.? If you live in one of the 10 or so swing states for the 2016 presidential election, about 12 hours ago, you started getting bombarded with zillions of ads. Whether they’re ads suggesting that Marco Rubio is an absentee senator or ads in which Donald Trump is promising to build a wall against Mexicans or Martin O’Malley is reminding you that he’s still actually running, their goal is to make you think the presidential election is the only important one in the country. But it isn’t. Throughout 2016, The Root will be running a series called Race Watch 2016, in which we will highlight local races, policies, elections and issues that may not be getting national press but still deserve attention. We encourage you to write, donate and get involved in each of these elections. It may be your district, or maybe not, but whatever happens in these races has an impact on us all. Florida, like many states, allows voters to elect local state attorneys. State attorneys are incredibly powerful and influential when it comes to issues of justice, jurisprudence and basic maintenance of rights, especially for African Americans. For every Marilyn Mosby who makes the nation exhale that perhaps justice will be done, there are literally hundreds of other state attorneys who don’t take their jobs seriously, who don’t perform their duties with integrity and whom voters should really consider in terms of whether or not they serve their communities. Angela B. Corey, to represent Florida’s 4th Judicial Circuit, covering Duval, Clay and Nassau counties. Corey’s name has faded into history over the last several years as high-profile cases with horrific videos have dominated the news, but her office is at ground zero for some of the most egregiously incompetent trial failures in recent history. Corey’s office prosecuted the horribly mismanaged trial of George Zimmerman, in which both her strategy and the effort of her office to secure a conviction came into question. Despite Corey’s ambivalence or incompetence in pursuing justice for the killing of unarmed black teenagers at the hands of white, cisgender male vigilantes, she seemed to have no problem seeking first a 20-year, then a 60-year sentence against Marissa Alexander, a black woman who fired warning shots to stave off her abusive husband. Corey has one of the lowest legal ratings of any state attorney in Florida, and when Law & Order: Special Victims Unit makes an episode about your shoddy legal work and has to add in a Paula Deen character to hammer home the point, perhaps it’s time for local voters to consider other options. Corey is a Republican who first ran in 2008; was re-elected in 2012, when she ran unopposed; and is now running for a third term in 2016. Right now her only challenger in the Republican primary is Wes White, her former assistant state attorney. And lest you get the impression that he would somehow be an improvement either legally or ideologically, his primary complaint about Corey is that she was “too harsh” on George Zimmerman. Perhaps you believe that Trayvon Martin had it coming to him from Zimmerman. Perhaps you believe Michael Dunn when he said he saw a gun pointed at him from a group of teenagers in a car. Further, let’s say that you sincerely believe in the strict interpretation of “Stand your ground” laws and consider Alexander not to have violated the law when she shot at her abusive husband. Even if those are what you believe, the state did not. In each case, the state sought to prosecute these men and women for various crimes, and in each case, Corey’s office failed miserably and publicly to accomplish the state’s goals. Symbolically, this is an incredibly important election not just for the state of Florida but also for African Americans in general. In the wake of Ferguson, Mo., there has been a great deal of hand-wringing and cloth-rending about how black folks should get out and vote. However, in the elections held after high-profile incidents of police misconduct (in Ferguson, in North Charleston, S.C., etc. ), black turnout was still low and true reform candidates of either party didn’t get elected. In the case of Florida’s 4th Judicial Circuit, there is an opportunity for some ambitious candidate to challenge Corey and truly represent the interests of the people. If you don’t live in Florida, you can keep the spotlight on this race by writing the local newspapers, contacting local organizations to draft a challenger candidate, or even donating money to parties or organizations that might put some pressure on the candidates who’ve already announced. There are critical elections in every state in 2016, and if the black community can start by targeting a candidate who fails at her most basic duties, regardless of party, we just might bring about the change that the presidential candidates consistently fail to bring.